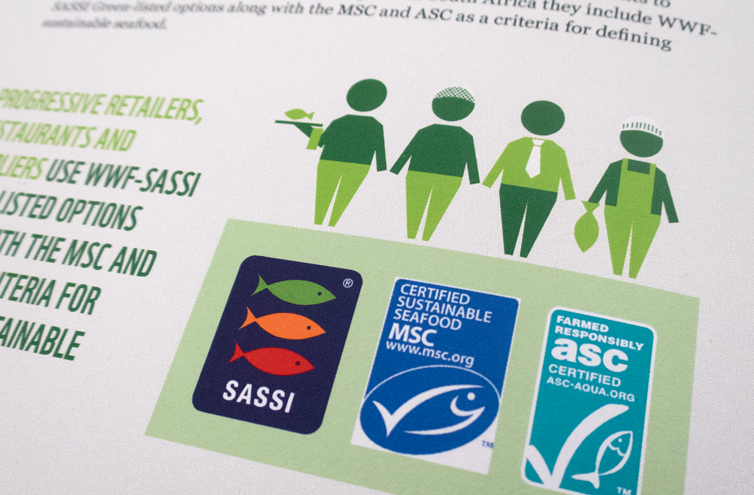 WWF-SASSI works with retailers in order to influence the wider source fisheries and farms in the seafood supply chain. 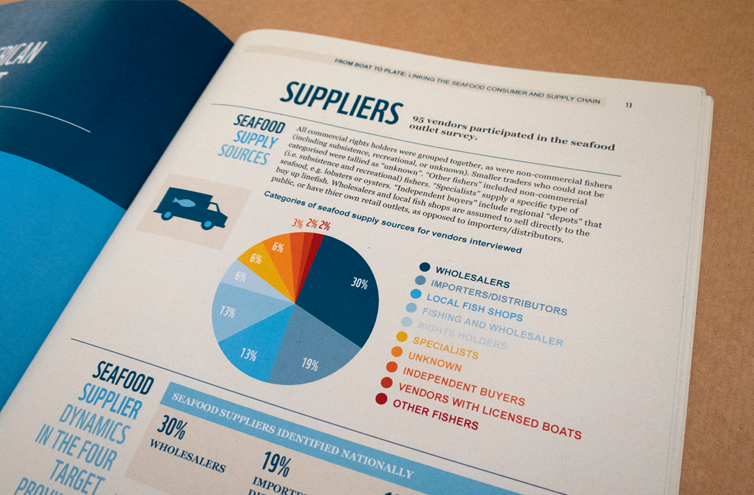 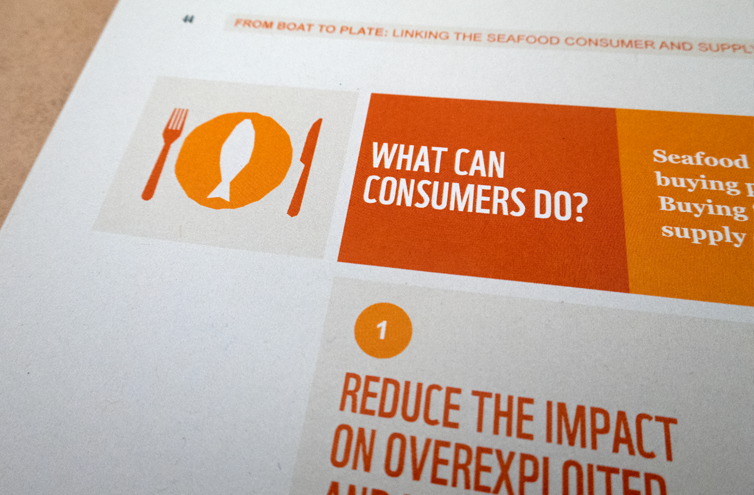 They wanted to create a functional tool to see how a retailer/participant is addressing the concept of sustainable seafood. 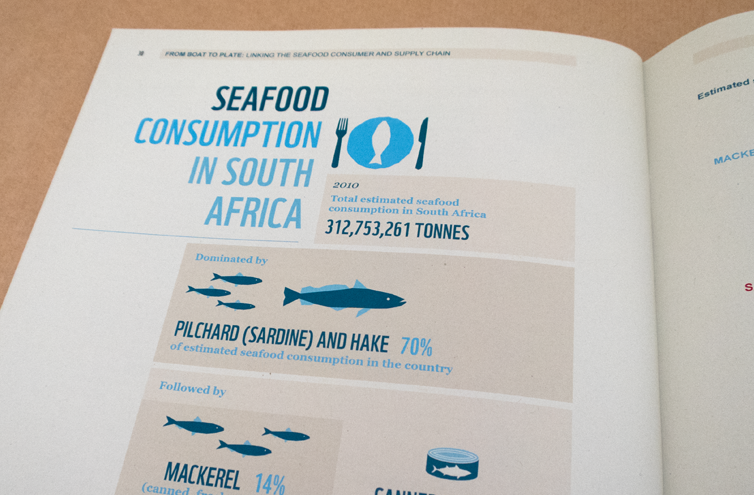 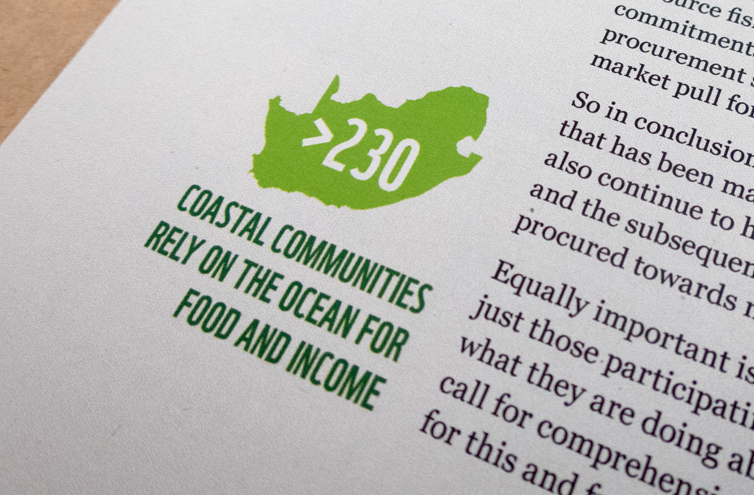 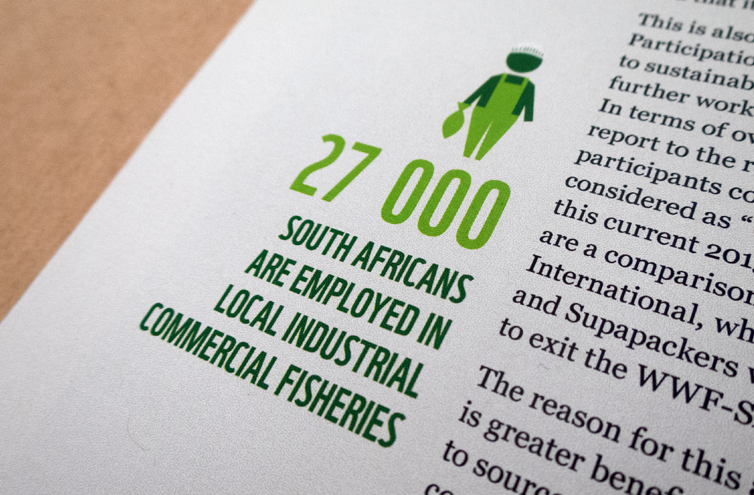 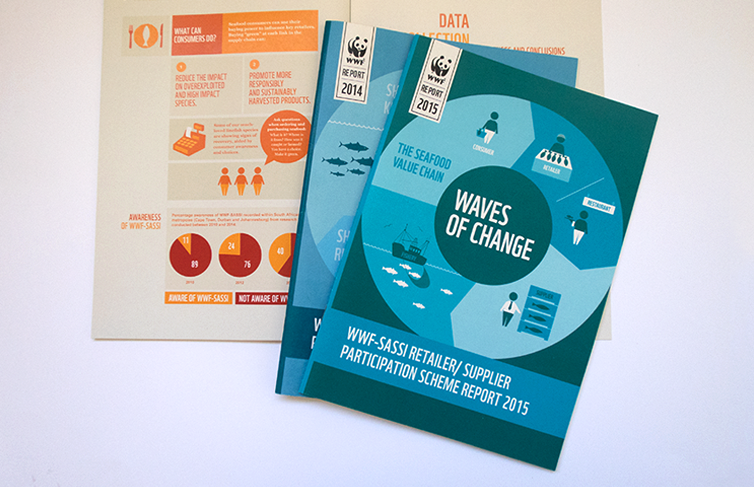 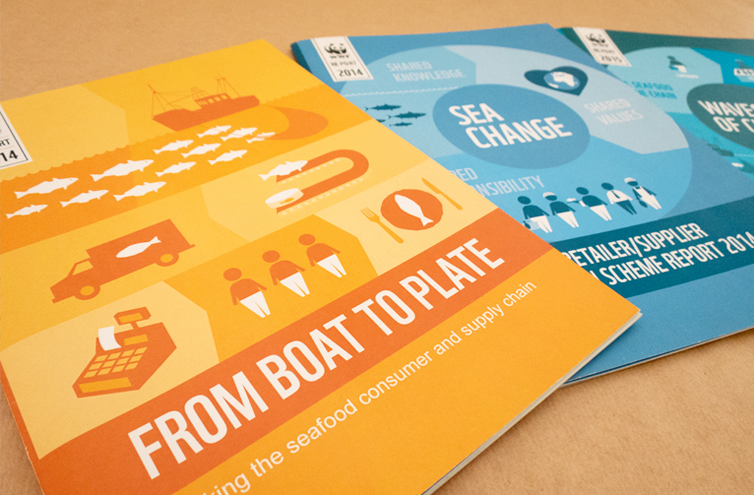 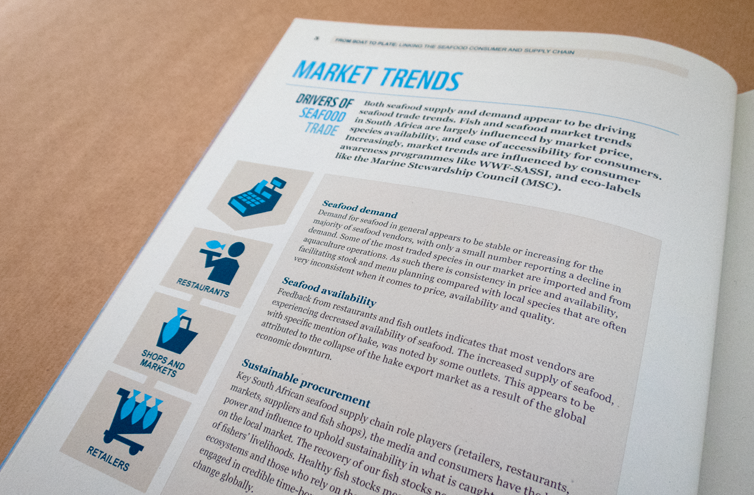 Creating awareness and active seafood consumer engagement with retailers and suppliers was a priority for WWF-SASSI. 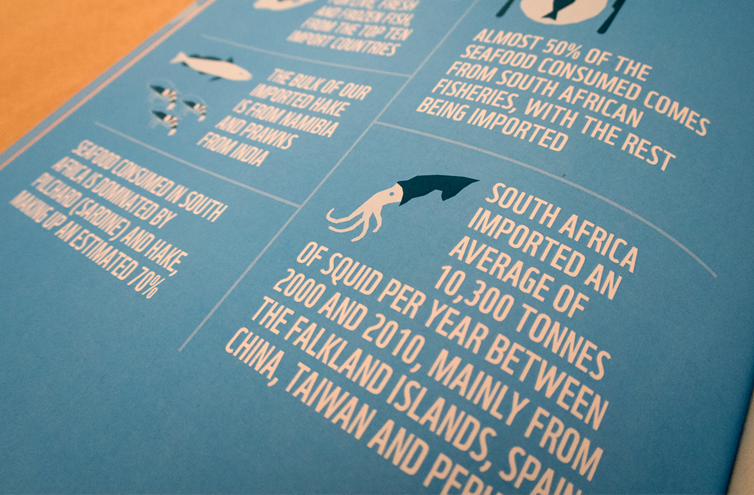 We created a two colour printed report in both 2014 and 2015, with plans to do more in the future. 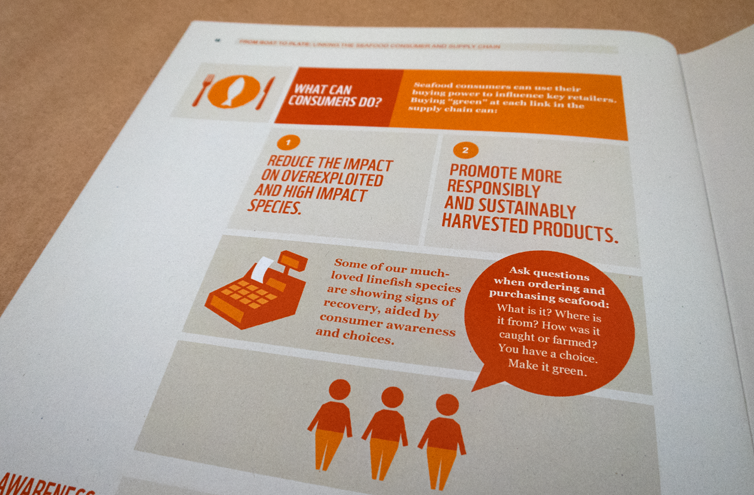 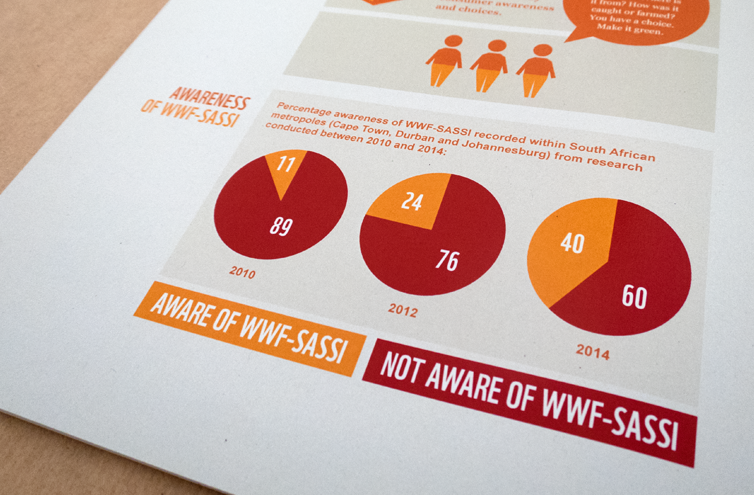 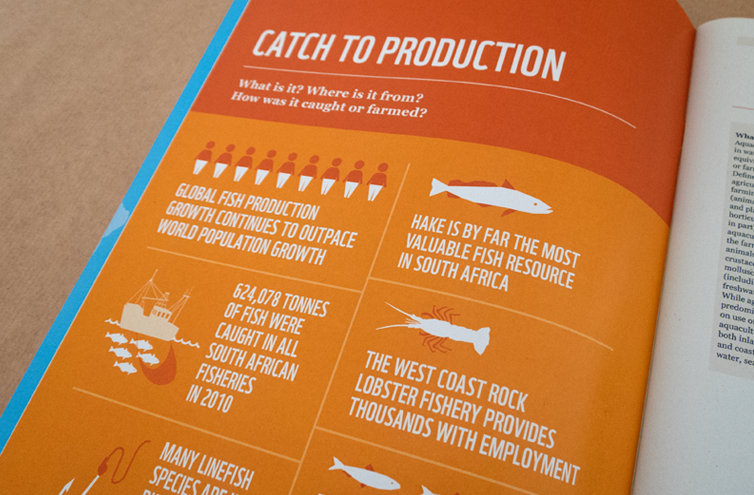 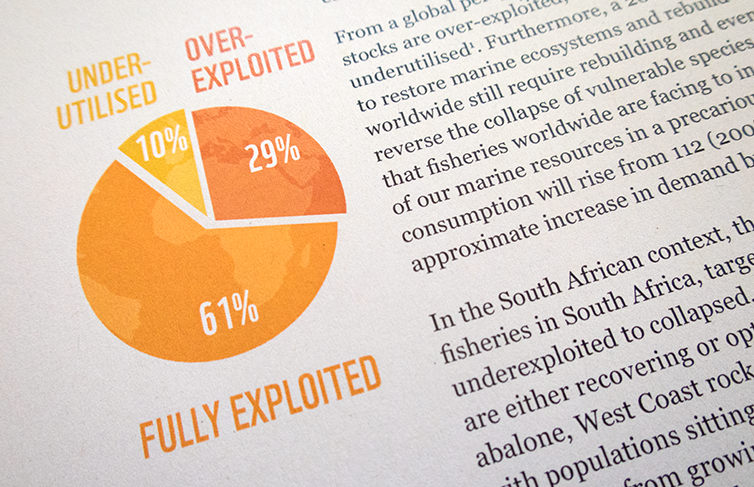 The graphic icons we created, along with the bold colour palette creates visual interest and simplifies the statistic heavy information, while keeping the design within the brand rules of WWF.